Y installation nominated for Building of the Year Awards! Archdaily (world’s biggest architecture website) has listed our tiny, but fierce, Y-pavilion as a candidate in their “Building of the Year” -vote. Y is running in the “Best Small Scale Architecture” -category. Help our David beat the Goliaths with your vote through this link! 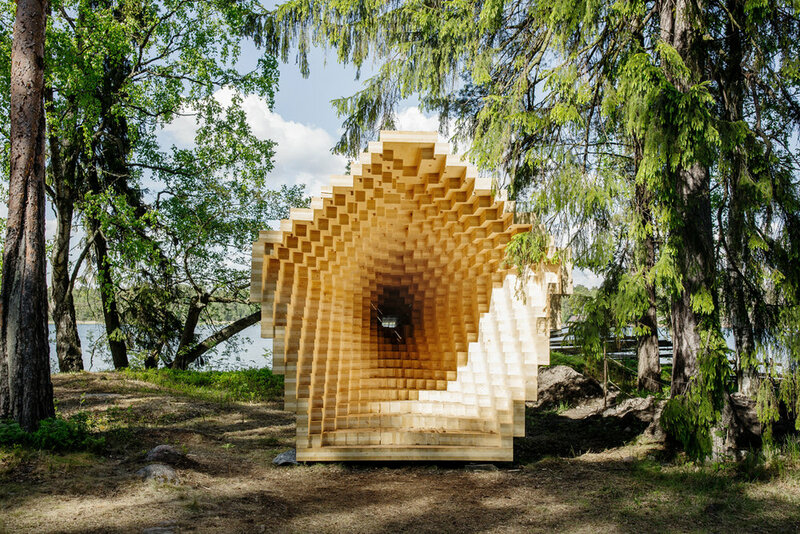 Built in three days and few pairs of hands last summer in Seurasaari/Helsinki, Y is a temporary experimental wooden structure designed by a passionate collaborative team of architects and fine carpenters. See more on Archdaily or our website.